Southgate handed Callum Hudson-Odoi, who is yet to start a Premier League game for Chelsea, a debut in England's 5-0 trouncing of the Czech Republic on Friday, with Declan Rice also called up to the latest squad. 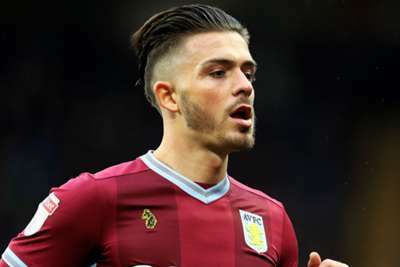 England's faith in youth has been a staple of Southgate's time in charge of the Three Lions, but while Grealish remains within a chance of a call-up, the manager acknowledged the midfielder's prospects would increase if he made the step up to the top flight. "Jack worked with us in the Under-21s briefly," Southgate said. "The difficulty is always, although we can see the quality, when the evidence of the opponent is a different level, that's where it's hard to directly correlate what that is going to look like at a level above. "With Callum, he's playing Europa League, he's playing Premier League, that does make a difference. "You see certain parts of the game but not others. Not the physicality at times, nor the tactical discipline. "That's another level in the Premier League, the speed, the pace. So, he's a player we know all about, he's a player we track. "But that last bit of evidence that could give you confidence to pick him at the moment we won't see. But as an ex-Villa man I hope it's not too long before we do see it." Hudson-Odoi impressed after coming on against the Czech Republic, playing a key part in Tomas Kalas' own goal, and Southgate is confident he made the correct decision in calling the Chelsea youngster up. "We've got competition for places," Southgate added. "I think with attacking players anyway they mature very young, and they can go in very young. "So it's not an issue to play them, and really we've found another player that we really liked [in Hudson-Odoi], but we weren't certain that he'd be able to adapt to this level, and we're a bit fortunate in finding him. "We probably wouldn't have done that in this camp, we'd have given him a bit longer in the Under-21s. But already he's proved in this environment that he can more than cope. He's a very confident boy."